When I started writing Eldala, I soon realized that, with all the traveling my characters did, I would have to know distances from one place to another, and I would have to make up names for those places. My boys (who were 11 and 9 at the time) helped me make up some of the names. Others came from obscure places in our atlas. My eldest son drew the original map (which you can see here) and I adapted it to put in the book. In order to determine distances, I knew it would be easier if I used an actual country, similar in size to Teleria. For that, I chose Wales, and then I expanded the map to show mile markers so I would know how long it took to get from one town to another. On top of that, I made up populations for the entire country and broke it down into individual city and town sizes. For the record, Teleria is 10,000 square miles and has a population of 400,000. The Baraca make up 20,000 of those. Korisan, the capital city, takes up 166 acres. If you're interested in the rest of my population facts, including how many people make up each Baraca clan, and how the entire population is distributed, you can read this document I made up: Teleria Population Facts. 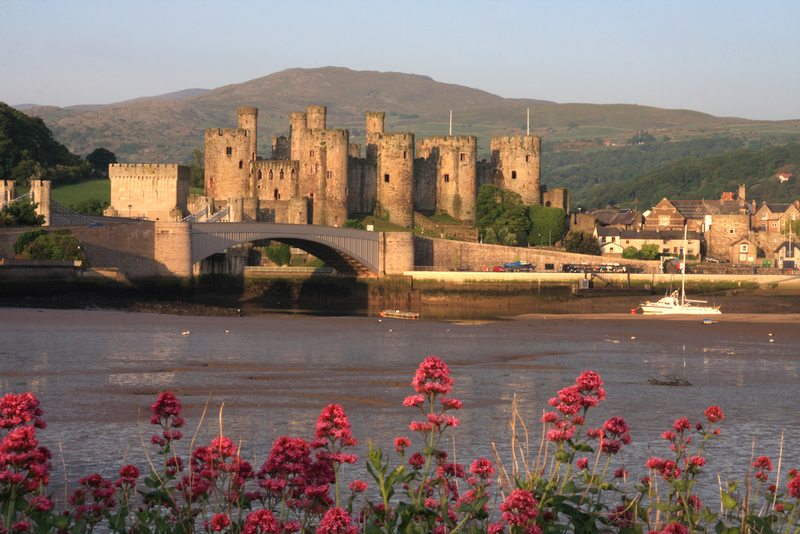 When the time came to write about the goings-on in the castle in Korisan, I needed a visual reference, so I perused one of our homeschooling castle books and chose Conwy Castle. At the time, I didn't know that Edward 1 built it during his conquest of Wales, between 1283 and 1289. For an overview of the castle plan, you can go to Wikipedia.